Make It Personal With Engraving. NO NEED TO SEARCH ANYWHERE ELSE FOR ALL OF YOUR ENGRAVEABLE GIFTS. We have a vast selection of crystal, aluminum ware, and jewelry that can be personalized with engraving. You can find the perfect gift for any occasion, from retirement to wedding and baby showers. There are many different fonts to choose from and we can engrave almost any message using our Signature Engraving System. 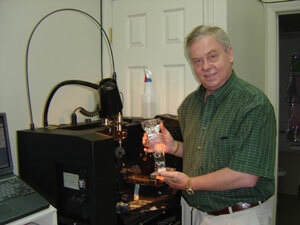 All of our engraving is done here by one of our engravers, so we can complete your job in record time.